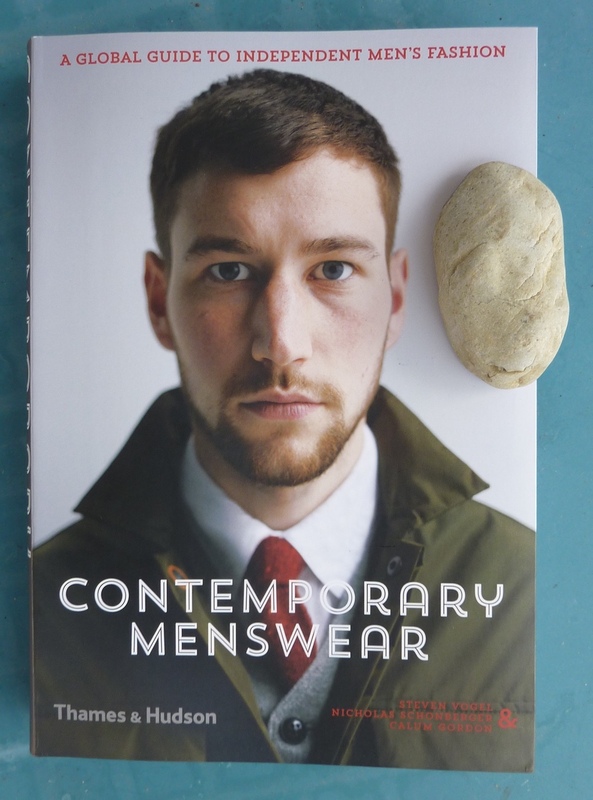 Book review: Contemporary menswear - Well Dressed Dad - It is a proper menswear blog. Like, with original words and opinions and suchlike. I love books. In a world where information is so freely available, so continuously updated and so prolific as to be almost worthless, there is something more definite and permanent about the print on paper. Whereas a blog-post can be infinitely edited and updated, when you put something in print the material should be considered and final, once it’s out there it’s published. Which to me means that if you’re writing a book you need to do proper work. 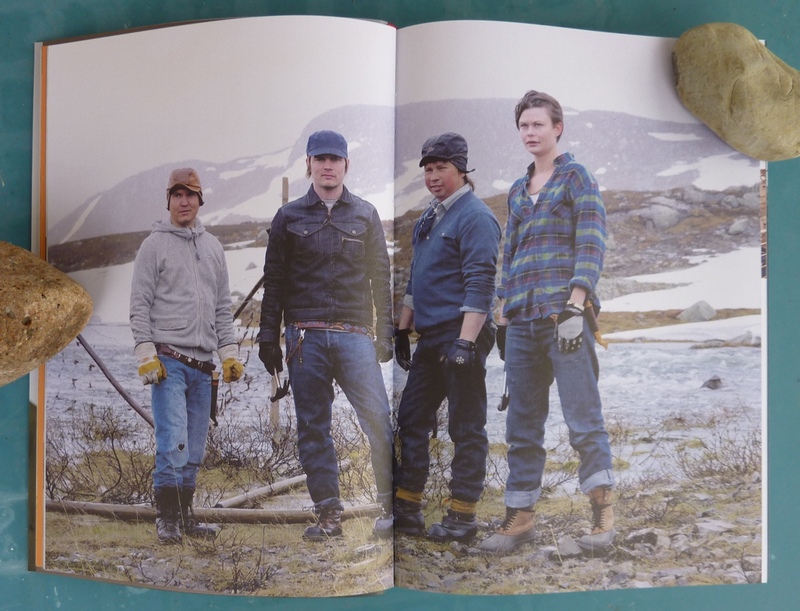 I’ve reviewed a few books previously, from pictorial twaddle like Denim Style, to more worthwhile efforts like The Fashion Resource Book: Men, to more personal writings such as the My Rugged 211 (and many others). I have yet to find to find a book about menswear that is truly excellent, if such a book could even exist. Off the top of my head, the best book for a man is quite likely “How to be a man“, a book I keep intending to go back and read again. This time we have a new book out form the same publisher as The Fashion Resource Book: Men. This one has more authors, more pages and more full colour illustrations. If more is indeed better, then three authors, 290 pages and over 500 illustrations, presenting itself as “A global guide to independent men’s fashion”, should be an absolute whopper of a book. The main premise of this book is that “menswear” is the new “streetwear”, i.e. a style of fashion that arrived at some point and will move on at some later point. This distinction may be a little strange to most men, who quite naturally consider “menswear” to be what men wear, and I’d tend to agree with that logic. Part of the advantage menswear has is that it is so much less prone to the whims of the fashion winds. At least for adult males. The three authors would appear to have impeccable chops when it comes to years of immersion in the fashion business, from branding, writing and consulting, so expectations are high to the results of near 300 pages to fill. In addition there are a number of guest writers adding essays to the content. So, what does the book give us? Basically it’s a presentation of 52 menswear brands from around the globe (though most are either from Britain or the USA). Each has a few pages of text and photos to outline what makes them different and interesting. 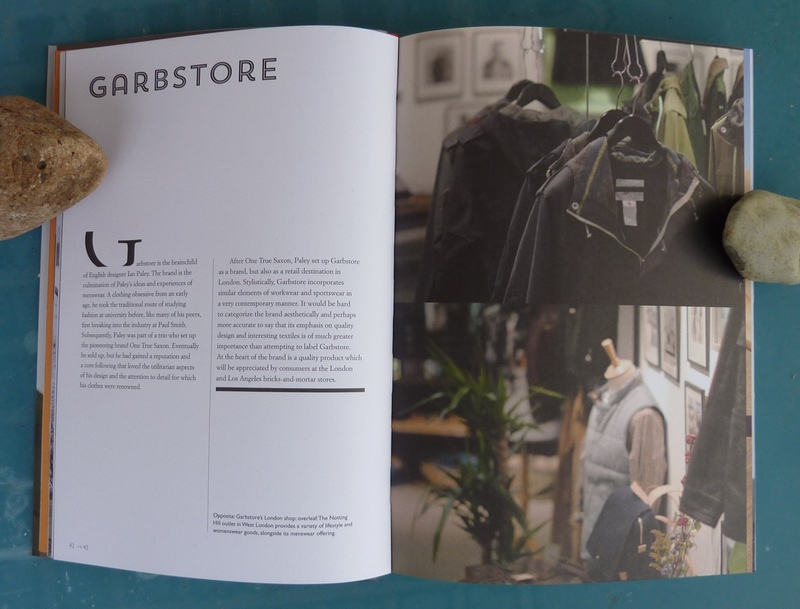 Additionally there are 9 essays that aim to provide more insight into the world of retail, blogging and menswear experiences. The brands presented are a varied selection, from the very well known to the almost unknown, the Scandi-cool trendies to the deeply heritage-styled retro-hipsters. There are many omissions, naturally, as there it would be impossible, or even interesting, to include everyone. Oddly, the selection was much decided by the lack of interest from invited companies and PR-people. Thankfully they made the shrewd decision to exclude some of the most notorious and large companies. I’m sure everyone that picks the book up will come up with a few brands they would have thought natural to include. For my own part I’d have included brands like Mister Freedom, SEH Kelly, Hansen Garments, and a dozen more I’ll think of once I’ve posted this. Something that quickly becomes apparent is how the content of the brand bios varies massively. Where Nigel Cabourn is allowed to expound at length, others appear to be quick hatchet jobs based on a bare minimum of “About”-info from a company website and a slew of hastily assembled photos. Several companies even appear to have their information severely truncated. Such as Grenson, which according to the book is a company with a massive heritage and would have gone under if it hadn’t made boots for soldiers in WW2. Did someone forget Tim Little and his role in reinventing a staid old company into todays hip and happening leader in footwear? I do understand that part of the problem here is that many brands really don’t have anything interesting to contribute by way of history or narrative. Many brands are just hollow vessels, a label to attach to whatever wares are being pushed out the door. The best bits are in fact the intro and the essays, where the writing stands on it’s own legs, rather than being filler to justify more photos. And of course the brand bios where some effort has been put into the writing. Reading the apologies in both the introduction and the afterword, I get the clear impression that the authors knew this was a half-baked effort. The obvious omissions they knew about are one thing. Some odd inclusions are another. The incredibly variety in the brand presentations is shameful, as is the actual content in quite a number of them. So, in conclusion, the book isn’t all terrible. It’s actually one of the better ones and is certainly fair value for the money. There is an evening of reading in it, and the potential to discover some new brands. If you enjoyed Denim Style you’ll find lots of pretty photos in this one as well. If only they’d put in the necessary effort to take it to full term it had the potential to become a classic. I imagine the fact that it isn’t more fully formed is due to pressure to release it quickly, but why shoot yourself in the feet in this way? Why not do a proper job? I’m still waiting for the truly good book on menswear. Outerwear review: Natural Selection, Mackinaw evolved? 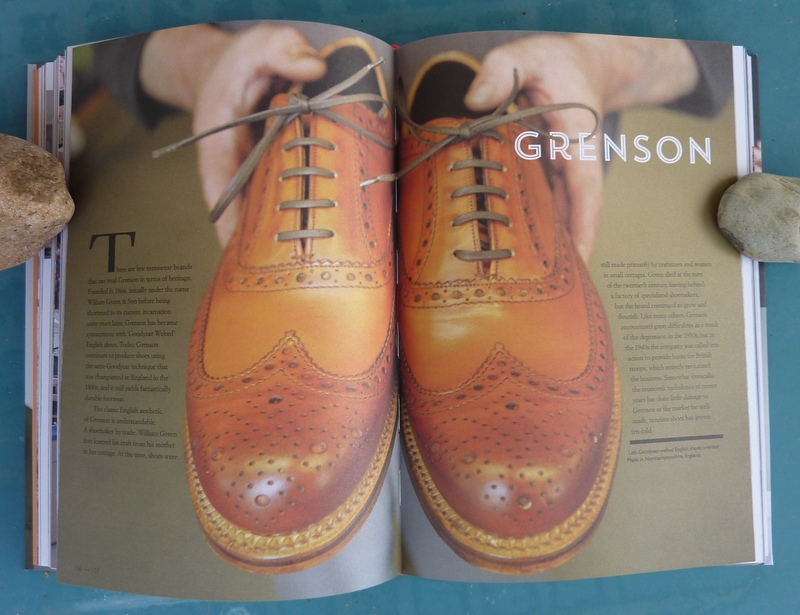 Does the section on Grenson manage to mention how easily the soles fall off them? I would search out the book Ideas From Massimo Osti. It’s fab and whether you like his gear or not – it’s very interesting indeed, beautifully put together and you will have newfound respect for the mans vision and work. 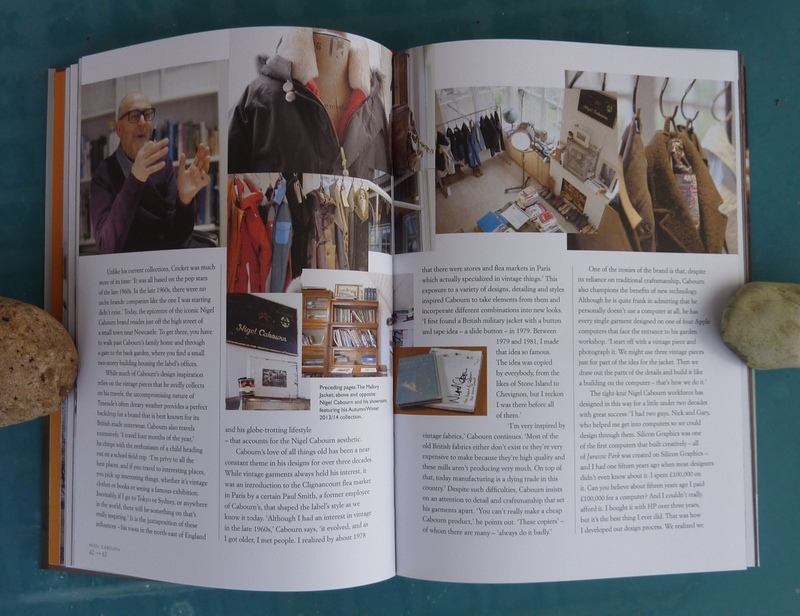 Hansen Garments must Always be a part of books with such topic, and can we have enough of Nigel Cabourn?